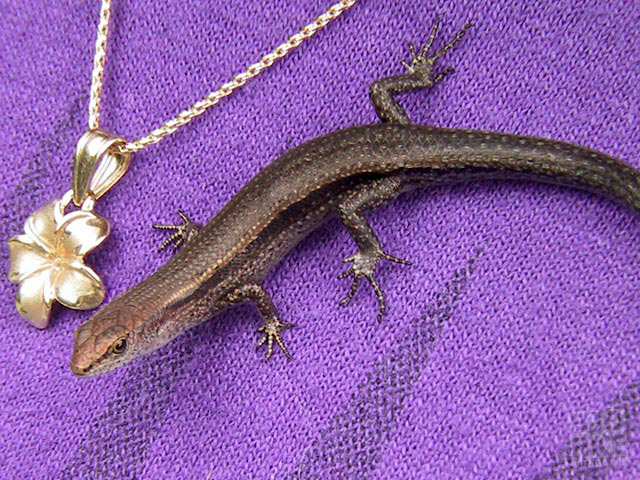 The birds in Hawaii are lazy and prefer to walk -- but the lizards leap! This one leapt onto my daughter's blouse and posed with quiet rigidity, then dashed off just as quickly. By lucky chance, I had a +2 closeup diopter already on the camera, and somehow the lizard, the ten-year-old, and I all managed to stand still for just long enough to get this handheld shot.